During a recent red team exercise, we discovered a vulnerability within the latest versions of the Symantec Management Agent (Altiris), that allowed us to escalate our privileges. When the Altiris agent performs an inventory scan, e.g. software inventory scan, the SYSTEM level service re-applies the permissions on both the NSI and Outbox folders after the scan is completed. The permissions applied grant the ‘Everyone’ group full control over both folders, allowing any standard user to create a junction to an alternative folder. Thus, the ‘Everyone’ permission is placed on the junction folder, enforcing inheritance on each file or folder within this structure. This allows a low privilege user to elevate their privileges on any endpoint that has Symantec Management Agent v7.6, v8.0 or v8.1 RU7 installed. When performing red team engagements, it is common to come across different types of third party endpoint software installed on a host. This type of software is always of interest, as it could be a point of escalation on the host, or potentially across the environment. 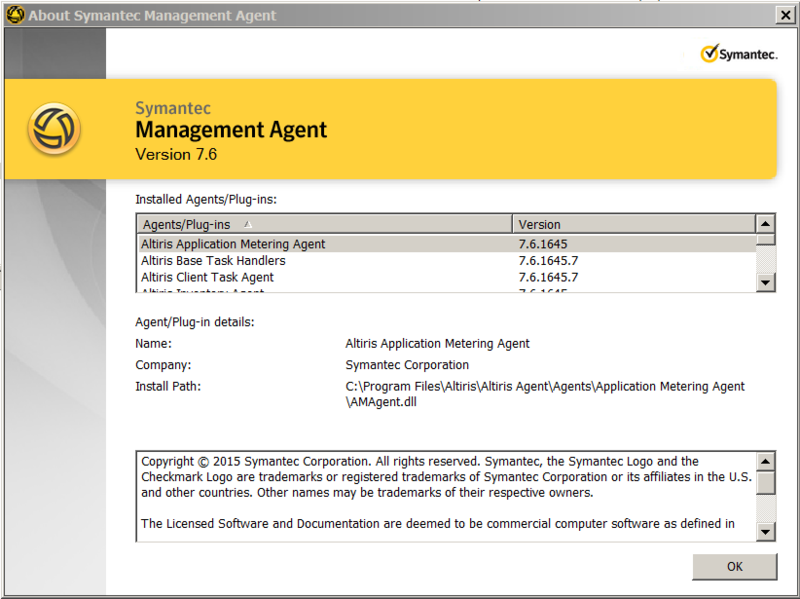 One example of endpoint management software we’ve often seen is Altiris by Symantec. This software is an endpoint management framework that allows an organisation to centrally administer their estate to ensure the latest operating system patches are applied, to deliver software, to make configuration changes based on a user’s role or group, and to perform an inventory asset register across the entire estate. The version that this was tested by Nettitude was version 7.6, as shown throughout this release, however it was confirmed by Symantec on 12 June 2018 that all versions prior to the patched version are affected by the same issue. When reviewing the timestamp on these folders, it appeared there was activity happening once a day within this folder. After doing further research into the folders, we concluded that these files were likely modified after a system or software inventory scan. Now, depending on the relevant organisations configuration and appetite for inventory management, this may happen more or less than once per day. Here’s where the fun begins. Having ‘Everyone – Full Control’ permissions on a folder can be of great interest, but sometimes you can go down a rabbit hole that leads to nowhere, other than access to the files themselves. Nevertheless, we jumped headfirst down that rabbit hole. Here is the folder permissions that we identified on the ‘NSI’ folder. These permissions were also the same on the ‘Outbox’ folder. 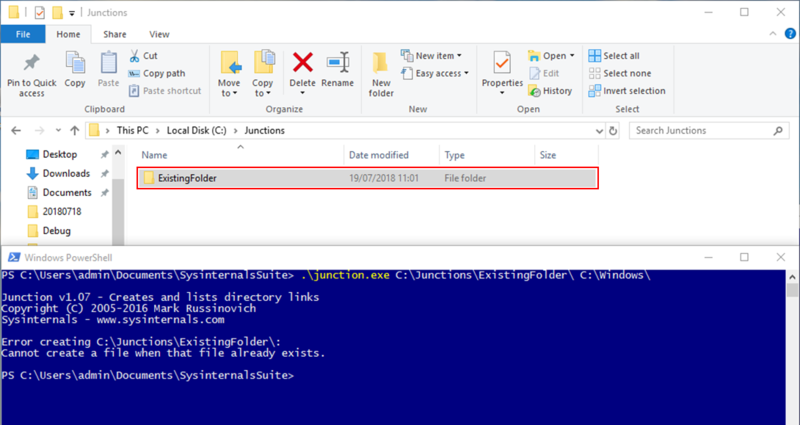 Another tool that could be used for this type of attack is called mklink.exe from Windows, but this requires elevated privileges, which would not have been possible in this situation (the point is that we’re attempting to gain elevated privileges). To completely understand what process was overwriting these permissions, we uploaded Process Monitor from sysinternals (https://docs.microsoft.com/en-us/sysinternals/) to see what was going on under the hood. 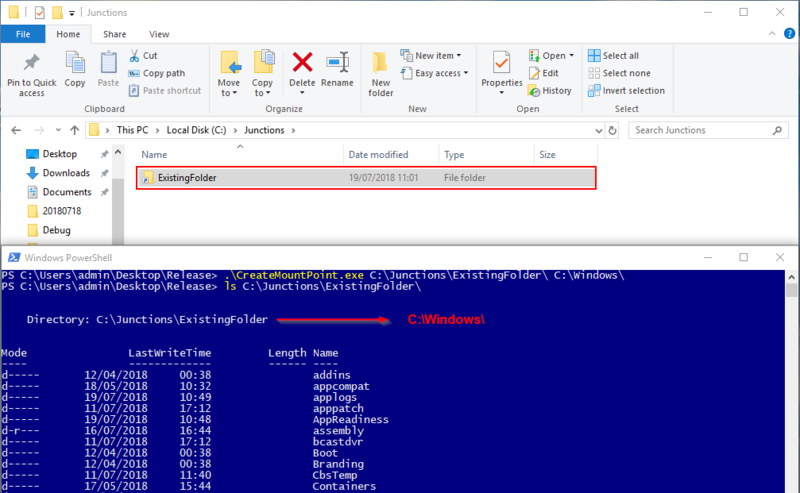 As you can see from the output below, all files and folders were getting a DACL applied by the AeXNSAgent.exe. So how can we weaponise this? There are multiple ways you could choose to make this vulnerability exploitable, but the path of least resistance was trying to override the entire root Altiris folder (“C:\Program Files\Altiris\Alritis Agent\”) permissions so that we could modify the service binary running under the SYSTEM account, namely AeNXSAgent.exe. We then created a mountpoint which points to the folder ‘Altiris Agent’. It’s worth noting that this folder must be empty for the redirection to be possible. Since we have full permissions over every file, this was trivial to complete. The mount point was created and verified using James Forshaw’s symboliclink-testing-tools. We then waited for the next scan to run, which was the following morning, and the next screenshot shows the outcome. As we expected the ‘Everyone – Full Control’ permission was applied to the root folder and everything under it, including the AeNXSAgent.exe. This vulnerability affected all versions of Altiris Management Agent, namely up to v7.6, v8.0 and 8.1 RU7. We strongly recommend you apply all patches immediately. If you have more ideas about exploiting this or similar vulnerabilities on run-time and/or in other ways, then please share them with the community and let us know your thoughts.